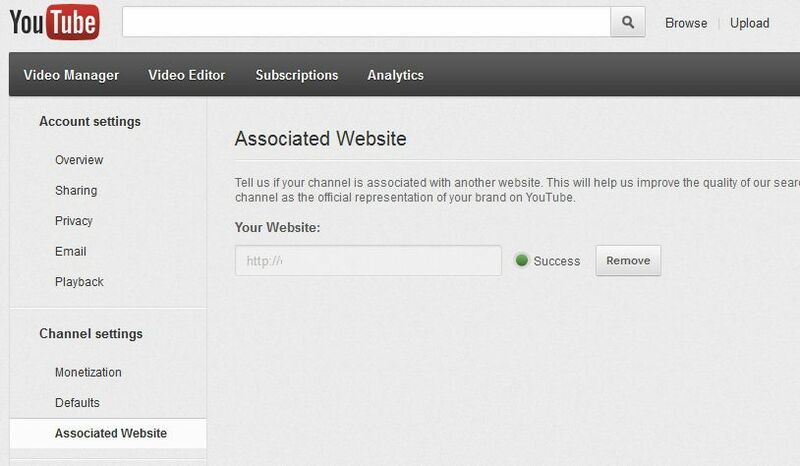 You can now add your official website link to Youtube channel. 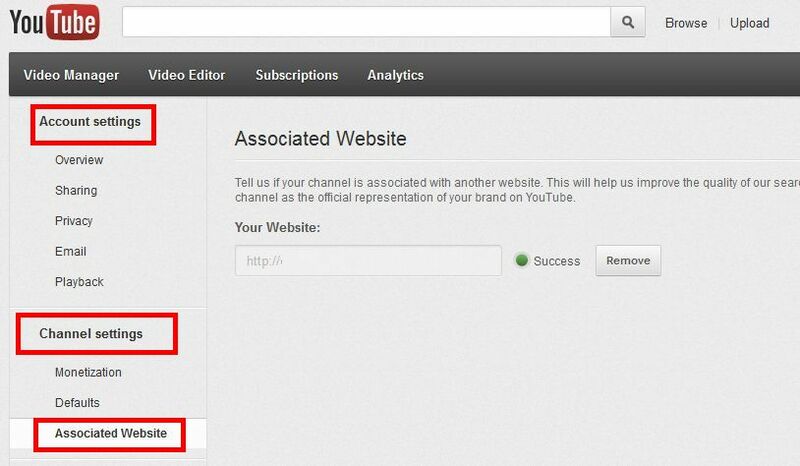 To do that, enter your Account settings, then select Associated Website from the Channel settings submenu. verified and the Youtube channel share the same e-mail account, the link will be approved immediately. the status of the association will be Pending. 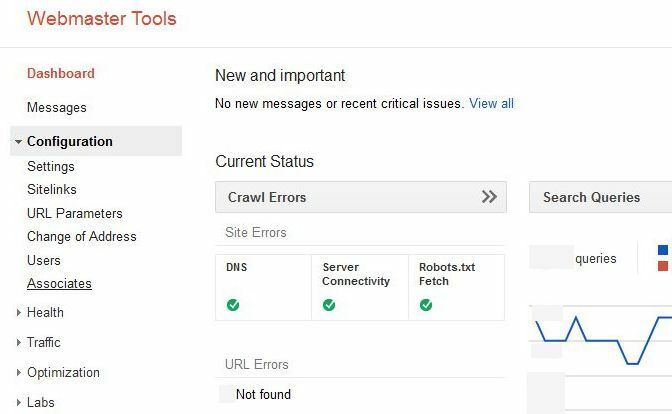 into the Webmaster account and select the site in question. Now click Configuration and select Associates. In the next window, press Add a new user. Now tick Youtube and enter the email of your Youtube account. 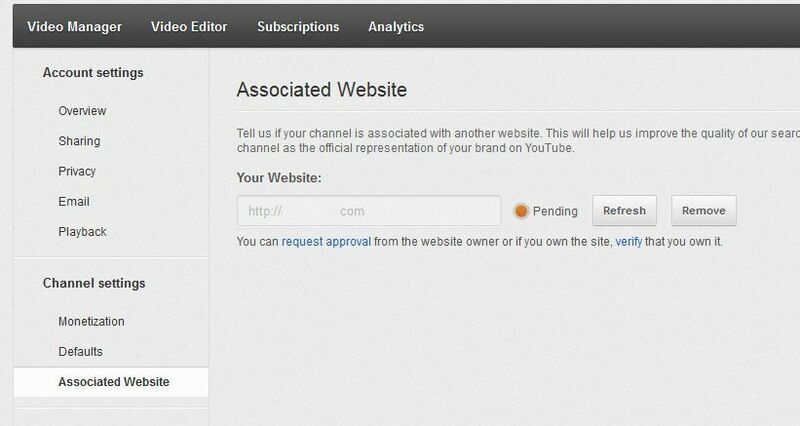 After that, login to the Youtube account to make sure that the web site is successfully approved.